Drew Bledsoe and the passing attack will keep the Patriots in every game. Broken records are why they invented compact disks. 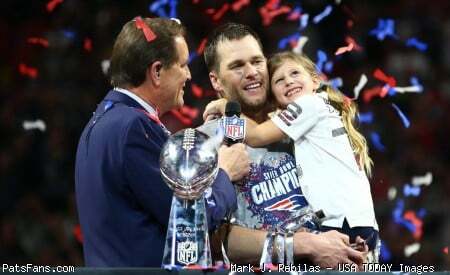 If every Patriot fan says that sentence over and over again, the next sentence out of their mouths might be something like “Ah…got a feeling…Patriots are goin’ to the Super Bowl!” Don’t bet against more than one Patriot fan going to bed last night with Lombardi Trophy dreams. Those dreams will stay just dreams if the Patriots don’t cure their rushing problems on both sides of the ball, and soon. It is fortunate that the Jets had no real answer for the Patriots’ spread offense yesterday, but injured starting quarterbacks don’t happen every day. Had Vinny Testaverde been able to play the whole game, it might be fair to say that the third quarter “blitz-mania” the Pats laid on Tom Tupa would have been non-existent against Testaverde, who would have dealt with all the commotion a lot better. The Pats assumed temporary control of the game in the third quarter, and that surge was enough to fend off the craziness that transpired in the fourth quarter. But the Pats’ inability to run or defend the run made what happened out there the only way the Pats could have come away winners. It took a crippling injury (or two or three…), mistakes by the Jet backup QBs, and Bledsoe’s incredible ability to still come out on top. With Peyton Manning and Edgerrin James on deck, the Patriots have their hands full. An easy win over the 1-0 Indianapolis Colts exists only in old storybooks. If the Patriots are to breathe easier in next week’s home opener, some guys need to learn how to run block, and others need to learn how to get to the other guy’s running back quickly and bring him down. Whether that can happen or not remains to be seen. The Patriots appear to have fended off the cataclysmic injury to Robert Edwards nicely, for the moment. The Pats have rookie Kevin Faulk and free agent Terry Allen at the halfback position, and both men look like solid backs who can plow ahead and pick up tough yards. The Pats also did well to rid themselves of Sedrick Shaw, who would have problems cracking through a Pop Warner league line of scrimmage. The real problem exists in the big dudes in front of them. While the Jets were devastated with injuries yesterday, few people noticed that the Pats took some hits on their offensive line. Zefross Moss went out early with a sore ankle, and Heath Irwin left the game with a sore knee. By game’s end, the Pats’ offensive line looked like Bruce Armstrong, Jason Andersen, Damien Woody, Todd Rucci and Max Lane. Ed Ellis did not dress for the game. There were no backups. It’s bad enough that this bunch can’t run block. But you have to have at least someone there to do something. It makes Bledsoe’s cool demeanor even more respectable. Plain and simple, this is not a powerful, smashmouth group. This is a bunch of guys who prefer to take 2-3 steps back and protect The Franchise. Not since the days of John Hannah have you seen a forward push by a Patriots’ offensive line. Lines that can fire off the ball and drive defensive lines 3-4 yards back are actually “run blocking”. Defensive linemen either get sealed off or fall down. Lanes open up, runners run through them. You don’t see that with your team, do you? It takes strength and speed and more of the former to pull that off. While Woody received kudos for his first-ever game yesterday, the rest of the guys aren’t so lucky. Armstrong and Moss might be to old to beat up the guy across from them. Lane looks lost and homeless out there (by “homeless” we mean “without a position he’s good at”). Irwin and Rucci are perhaps the best run blockers, but that’s like saying Mike Bartrum is our best long snapper. And you have to be gnashing your teeth when you don’t see Damon Denson, Ed Ellis and Scott Rehberg as starters by now. This hurts the Patriots more than anyone realizes. Two of these guys were busts, when they should instead be the guys doing the smashmouth act. It’s not enough to be just big in the NFL. Meanwhile, who’s stopping the run on the other side? The Patriots should be glad that they held Curtis (only 1,915 away from 2,000) Martin to just 85 yards rushing. Martin, more powerful today than in his Patriots’ days, had only two runs of 10 or more yards. That right there should be considered a big win for the Patriots in the “game within a game” context. But James poses a much more serious threat this coming Sunday. In his NFL debut against Buffalo, he rushed for 112 yards on 26 carries (4.3 average). He also caught four passes and scored the Colts’ first touchdown. This was against a Bills defense that was fifth in the NFL against the run last year. What the Patriots wouldn’t give to have Ted Johnson back. Just don’t go to Bill Parcells for any sympathy. Andy Katzenmoyer had three tackles in an otherwise non-remarkable NFL debut. His name wasn’t called at all until the third quarter. Stopping James perhaps starts with this man. The Patriots did pick up some help on the line, signing free agent Bob Kuberski and re-acquiring Ferric Collons, though the latter did not dress yesterday. These two men will deepen the defensive line a bit, and along with Chad Eaton and Henry Thomas, are pivotal in the Patriots’ run defense. Being at home, the Patriots will be naturally be fired up. It can also be assumed that no Patriot will take the Colts lightly. A call to Doug Flutie and Bruce Smith will provide adequate reinforcement of that claim. Being at home can also cause both lines to fire up and play with more spirit and intensity, especially on offense. The crowd may inspire the line to block with more intensity and efficiency, against a Colt defensive line that pales to the Jets’ greatly. If nothing else, the Patriots have to show that they can control the ball, eat up time and keep the defense off the field. And especially in the late game, they need to chew up time if they are leading. Giving the ball back to Manning on three and outs with regularity will not lead to victory. It looks like Keyshawn Johnson is as good a philosopher as he is at melting down at press conferences. On the Patriots’ clubhouse bulletin board this week, I’d put up “Just Run The Damn Ball!” in big letters. This entry was posted in Uncategorized on September 14, 1999 by Bob George.